We marvel at what God has done in 2016! 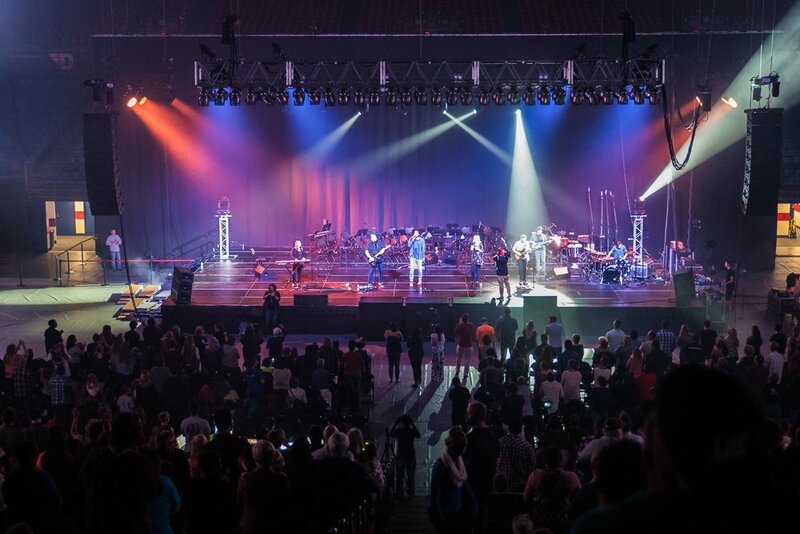 Just two years ago we first responded to the Lord's call to gather His people together to lift high His name and declare His glory, and this September we saw the Lord unite dozens of churches all across Greater Dayton for Declare Dayton at UD Arena! As much of a miracle as this ministry was as we saw Jesus lifted up and dozens come forward to commit or rededicate their lives to Christ, we trust it is yet the beginning. We praise God for the amazing work He has already done for His glory, and eagerly anticipate all that He has ahead as He draws more unto Himself! For the last several years we have had the opportunity to support a local worship workshop, this year we headed it up! We brought together Godly and gifted worship leaders and instructors from across Greater Dayton to equip worship leaders and team members from all across the city. One of our passions is to cultivate growth as worshipers, training and then sending out worship leaders to go and lead the charge to declare the greatness and grace of our God! Thank you Beavercreek Church of the Nazarene for hosting the workshop! Interview video: Matt Scruggs. Photos and b-roll video: A.G. Photography. Audio track: "So Amazing" by Aaron Clark and Ministry. 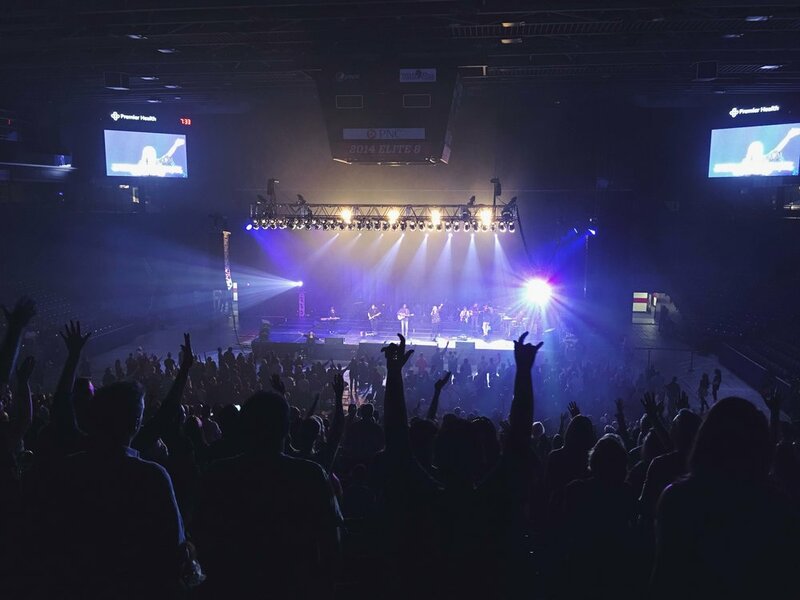 Praise the Lord for an incredible night at Declare Dayton to Worship, Reach and Revive at University of Dayton Arena! This ministry only happened by the power and the will of God! People told us it couldn't happen. People told us the churches weren't ready. But God was ready, and He unified thousands of His people from dozens of churches from various denominations and backgrounds under His name! We are keenly aware that this ministry was beyond us. In fact, had we been aware of the responsibility and cost ahead of time, we likely would have shied away in fear. But God showed His ability to provide everything and everyone needed to declare His glory in a huge way! We are so glad He strengthened us to trust in Him, and as a result we saw His name lifted up and dozens come forward to commit or rededicate their lives to Christ! We also celebrate the over $5,000 that were raised for Miami Valley Women's Center, protecting the lives of the unborn. While we are thankful for the sheer miracle He has already done, we strongly believe that this was just the beginning. The best is yet to come as we continue to see God awaken His Church and draw many more to Himself, for His glory! Thank you Agape Media for the video and Joshua Estep Media for the photos! It was our third year back where it all began, on the levee in Troy! 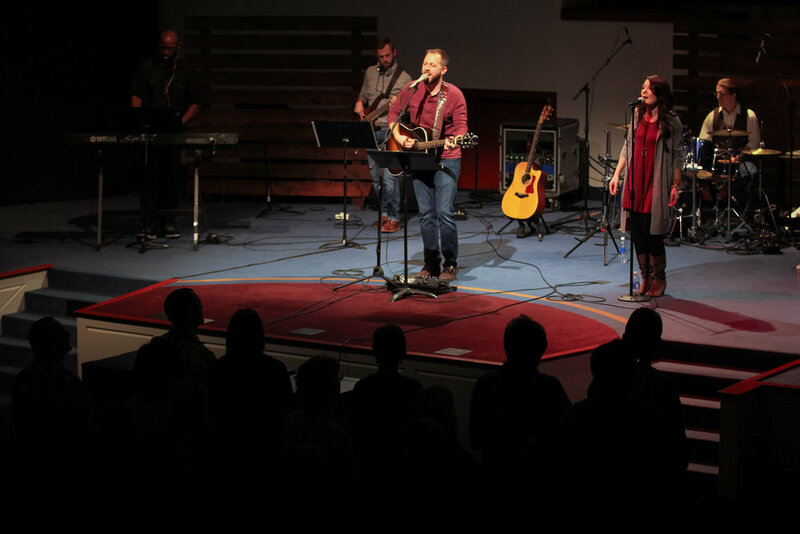 Part of the blessing of this year was seeing new churches and worship leaders join in. One of the most powerful elements was having a number of community pastors participate! Our heart has always been for this movement to be much more than worship leaders and singers getting together, but rather to have a unification of entire churches from across the community. Spreading the Good News of Jesus and declaring His glory and power is for much more than just singers. Having a number of pastors participate and share really helped unify us in worship not only through song but also through the proclamation of God's Word over our community! This was our second year for Declare Vandalia at First Baptist Church. We were reminded that Christ is all we need and that "In your presence there is fullness of joy; at your right hand are pleasures forevermore" (Psalm 16:11). So often we chase after and pursue other things to satisfy us, yet in God and in God alone will we find our peace, hope and satisfaction! We announced that night that we would be holding Declare Dayton at UD Arena that September. We still remember the look on people's faces when we shared this, an expression of "Really? Are you sure?" It was so far beyond anything that we had yet seen. It was exciting, but seemed almost surreal, or impossible. Yet we had faith that we served the God of all power and authority, and in the months ahead He would prove His own faithfulness and ability to bring everything that He had called us to about to fruition!